Is your new Tripawd dog leaving the hospital soon? Most new amputee dogs are a bit woozy when they arrive home after surgery. Pain meds will do that to a pup! 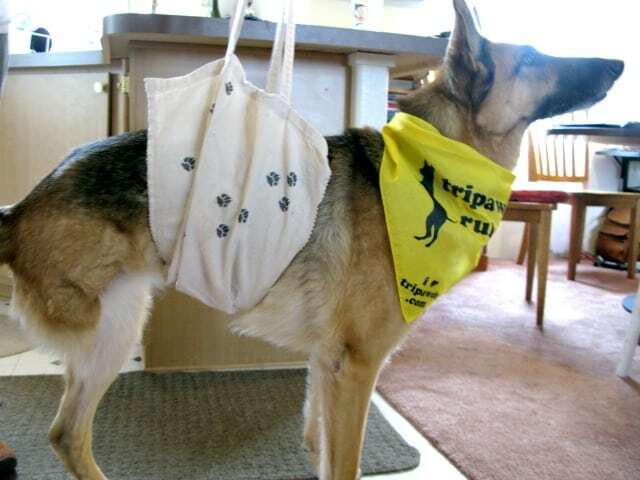 Fear not though, you can help your Tripawd get around to eat, drink and elminate with this easy DIY Tripawd dog sling. Your dog may not even want your help but it pays to be prepared, and this sling costs you practically nothing. We’re pretty sure that Tripawd cats won’t like this kind of thing, but if we’re wrong, let us know! 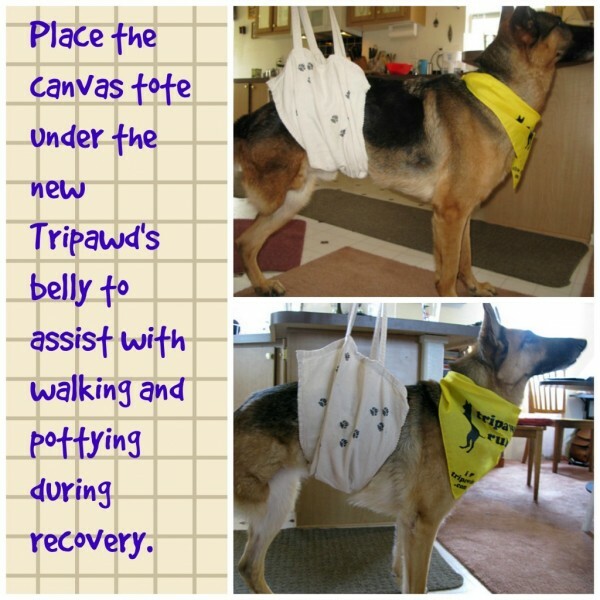 It’s Easy to Make This DIY Tripawd Dog Sling! Not all dogs will want help, but it’s good to be prepared. Look around your house for a reusable canvas tote bag. Believe it or not, reusable bags make great temporary slings. Try to find a bag that suits your dog’s overall size. No, you’re not going to put your dog inside the bag, you’re going to make a belly sling with it! 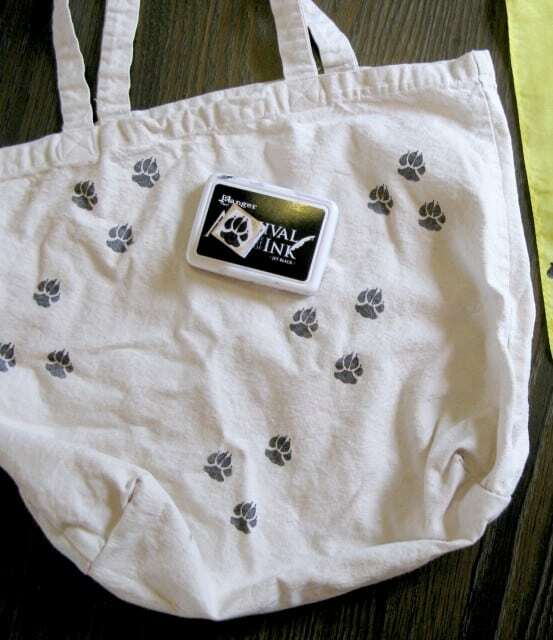 Step 1: Decorate the bag with something cute like paw prints or even a Tripawds Rule bandanna! This step is for you to keep your mind busy and help you stop worrying. 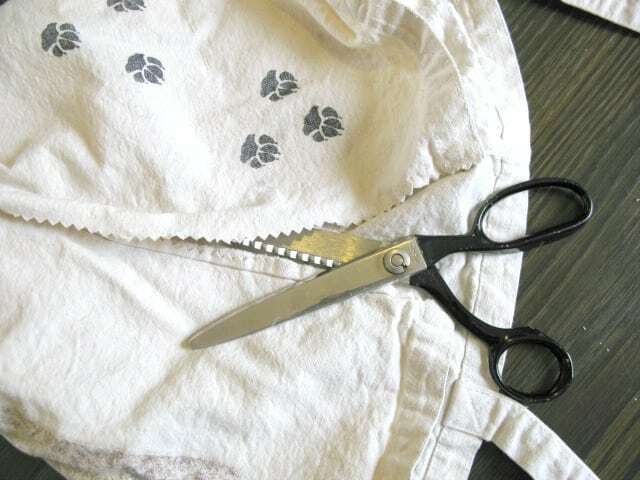 Step 2: Get your scissors out. Cut open both sides of the bag. Step 3: Open the bag and lay it flat. 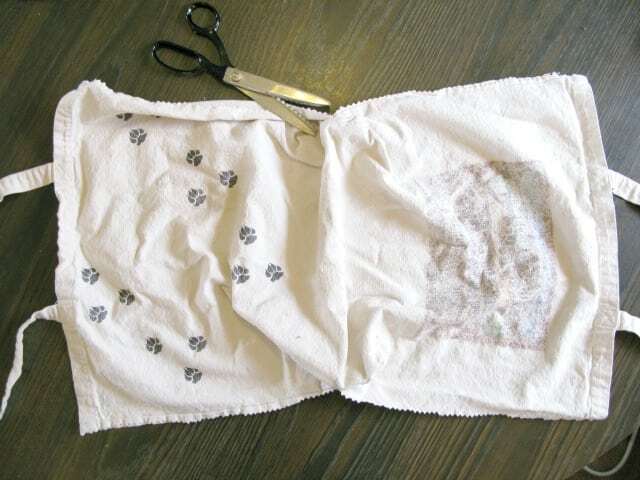 Can you see how now it looks like a DIY Tripawd dog sling? Step 4: When your Tripawd finally wants to get up, place the open bag under your dog’s belly. Lift each handle then gently, slowly hoist your dog up. Slowly walk alongside your dog on the amputated leg side. Most dogs will only need this level assistance for a few days, until they stop seeing pink elephants from the pain medications running through their system. Watch your dog carefully for signs that your help is no longer needed. Pretty soon you’ll be amazed at how well your new Tripawd gets around without your help! 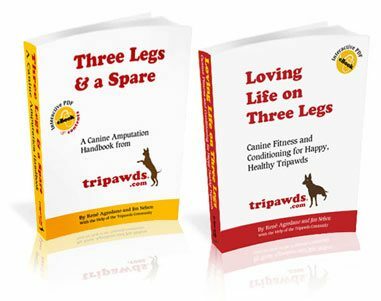 If you’re brand new to the three-legged dog or cat life, be sure to check Jerry’s Required Reading List and download the Tripawds e-books Library for many more pawesome tips like this. Is this method also good for front leg amputees? I mean, I would be afraid of helping too much in the back half of his body which I would think cause him to fall face first. Any tips? We did use something like this on our front leg amputee Jerry and it worked fine when he allowed us to help. It was a little trickier to get the placement right, but you just have to adjust the sling location depending on your dog’s body type. Best wishes to you both! We did this with a shopping bag too to help Kylie until her harness came in from amazon! It was a great idea someone on these forums shared & we are so grateful! Love this site!